WordPress makes things easy, but there are times you just need to know some basic HTML. For the most part, you may never need these tips, you’ll have someone else do it for you. Not a problem! Some of you take pride in being able to do the little things yourself. First you create your link, then type the words that should be link, then close it up with </a>. There are things we can add to the tag to make the link open in a new window and such, but we’re just doing basics right now. Similar to a link tag, there are things we can add to the img tag, but that’s beyond basic for today. Paragraph tags are used to create a new paragraph. This places a space between your lines of text. When using the paragraph tag, you’ll want to “open” it at the beginning of your paragraph and then “close” it at the end. To open the paragraph, type: <p>. Yep, only three characters. Next you’ll type all of your text and then add the close tag: </p>. There you go. Five basic html codes to help you out. Of course, as always, you may certainly drop me an email asking me for the code to create a link, etc. I don’t mind answering those questions at all. Google Analytics can be a confusing frontier. You know you should be using it, but you have no idea how. There is no shame in asking for help! But, did you know you can give access to your Google Analytics without giving access to your entire Google World? You can. Here’s how. Head over to Google Analytics and click on Admin. You’ll see three columns- Account, Property and View. How you organize your Property and Account is entirely up to you. Personally, I have an Account for each client and then their websites under that. Decide whether you want to give access to only a Property or an Account and click on User Management in the appropriate column. I suggest Account level access. Account Level Access – a user can add other users, add additional websites, links Adwords an Adsense. Property Level Access – a user can access the tracking code for your website, adjust retargeting data and adjust settings on the specific website only. View Level Access – a user can only add and view goals. Now you see a list of users and a box to Add permissions. Insert your user’s gmail (or gmail managed, like Google Apps for email) email address. Go ahead and tick the box to notify user by email. Collaborate: This user can create and share personal assets, collaborate on shared assets such as editing a dashboard or annotation. This includes Read & Analyze. Read & Analyze: This user can report and configure data, and manipulate data within reports, create and share personal assets, see shared assets, but can not collaborate. My suggestion: tick them all except maybe Manage Users. Click Add and you are DONE. That was easy, right? Several of my clients are running the plugin All in One SEO on their wordpress sites. You are probably one of them! While I have set up this plugin for you, it’s important that you take the extra steps when writing your posts and pages to put this plugin into use. After writing your post, before publishing, you need to scroll down to the All in One SEO box and fill in the meta-goodness that Google needs to rank your site. You should try to use a keyword or phrase in your page title, description and even in the first paragraph of your post. Remember not to keyword stuff, use words and phrases relevant to your content that your site visitors will use to find, not your website, but this particular page of your website. This video is a simple guide to show you what you need to do while using All in One SEO. I hope to get another video made about the default settings of AIOSEO very soon! It’s no secret I’m a big Firefox fan. I rely a lot, maybe too much, on Firefox for my browsing. There are so many useful extensions and Firefox sports the best ad blocker I’ve come across. Yes, I use Firefox to remember passwords to countless sites. 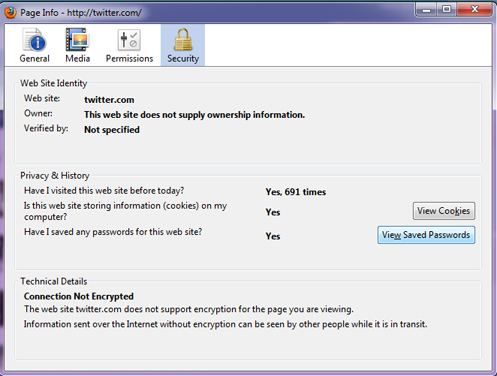 There often comes a time when I need to use a different browser and I have no clue what my password could possibly be. Thankfully Firefox makes it super easy to view the password you have saved while visiting a login page. In the next pop up window you’ll see all the usernames you have saved associated with this particular login page. 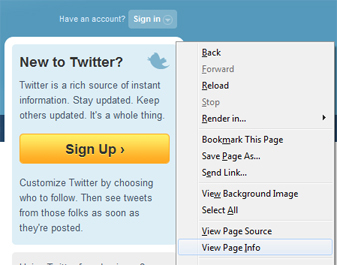 You’ll see a button at the bottom to “Show Passwords” which will enable a password column for you to view the passwords. Now you can view all of your saved logins for any site.